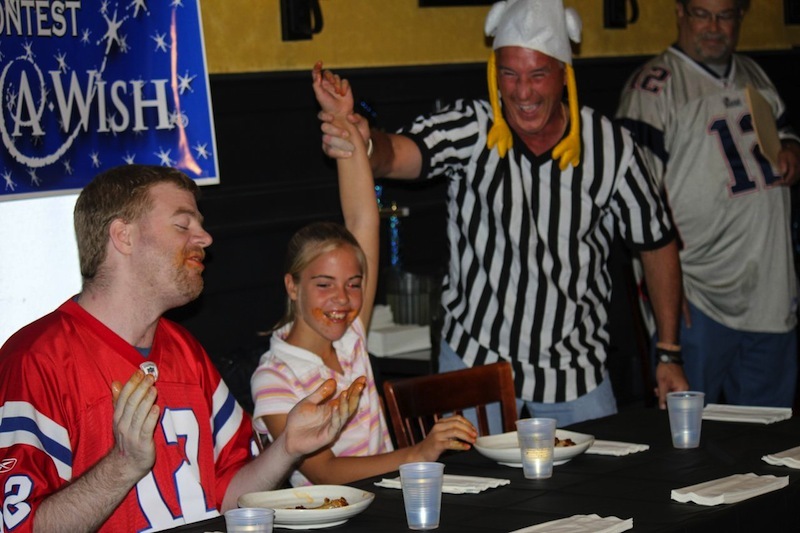 When we were planning the inaugural Wings for Wishes in early 2012, we had no idea if it would be successful. We just knew that we wanted to do a wing eating contest for charity. We selected the CT Chapter of the Make-A-Wish foundation because they do great work for kids and their families. Well, the response to the first contest was AMAZING! Amazing teams, amazing donations, and amazing fun. We were thrilled that we raised over $11,000, which allowed Make-A-Wish to grant a child’s wish. The teams and their supporters really made a kid’s wish come true. 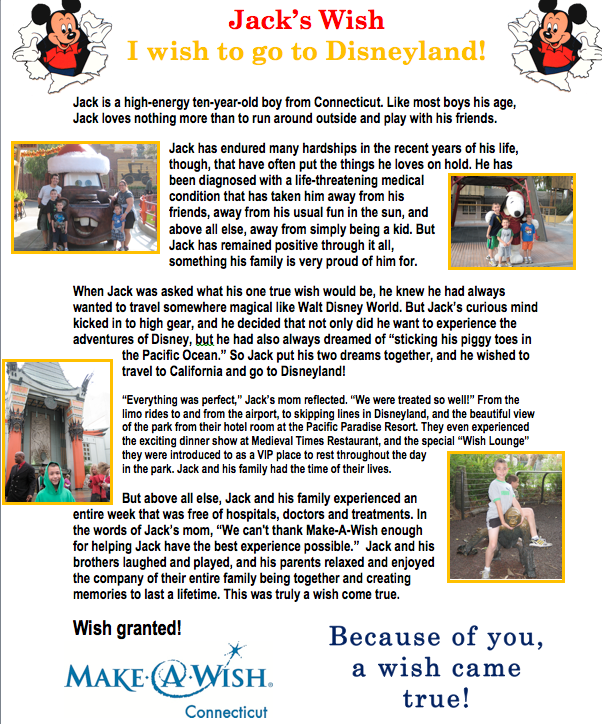 Here’s the story of Jack and his family, the recipients of the first Wings For Wishes.